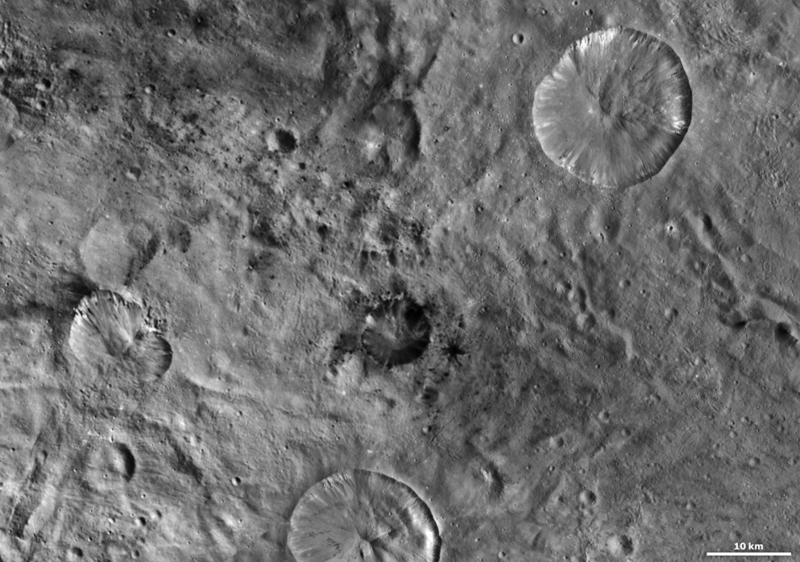 Craters and ridges abound on the surface of Vesta, the solar system’s second-largest asteroid. Bright craters, dark craters… craters shaped like butterflies… they’re all represented here in a panorama made from images acquired by NASA’s Dawn spacecraft, currently orbiting the 330-mile-wide asteroid Vesta. I stitched two images together (using a third for gap fill-in) that were originally acquired by Dawn’s framing camera in October 2011 and released last week. This shows just some of the many surface features found on this ancient world.